Great Leaders Aren’t Born. They’re Built. 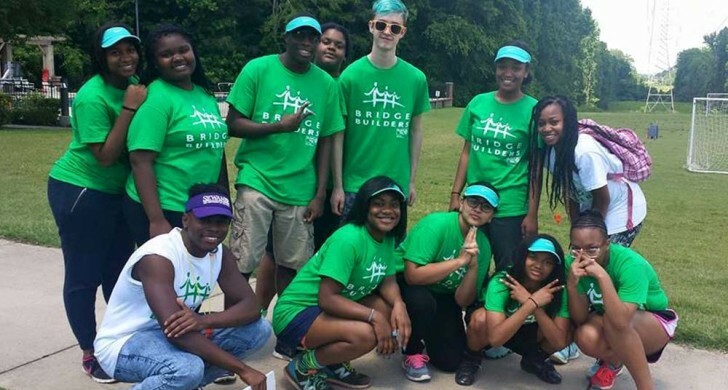 When you participate in the Bridge Builders COLLABORATE program, you’ll make connections with other youth across the Mid-South and build yourself into the leader your community needs now. 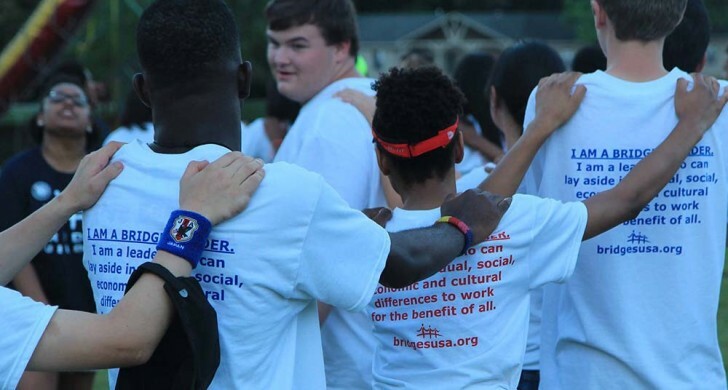 Your Bridge Builders experience will begin with the Summer Leadership Conference – a week-long group experience led by BRIDGES staff. 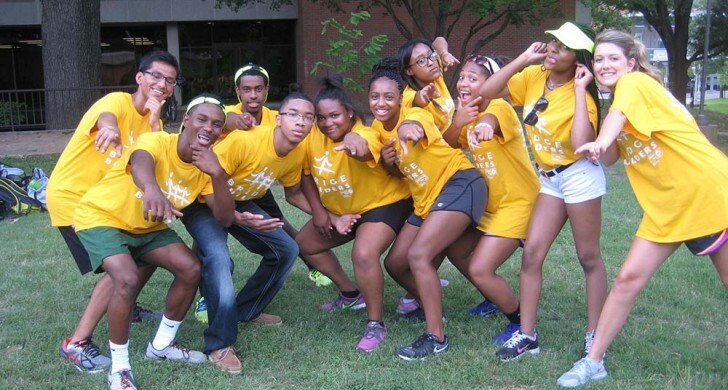 You will join a diverse group of same-aged youth from around the Memphis area. Peers who start off as strangers will soon become close friends as you team up in high-energy activities and discussions designed to build camaraderie and confidence in your skills as a leader and a critical thinker. Your summer conference experience will equip you with the tools and friendships you need to make the most of your Bridge Builders year. 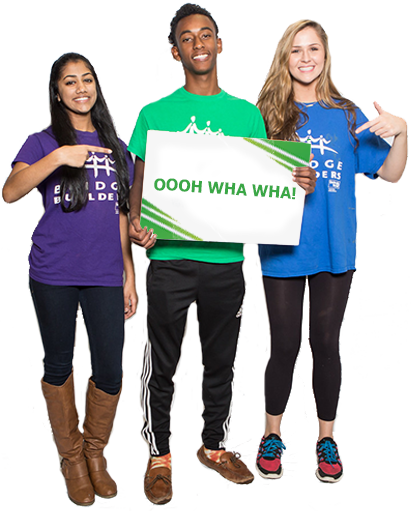 Students in grades 7-10 will meet daily at the BRIDGES Center from 8 am to 6 pm. 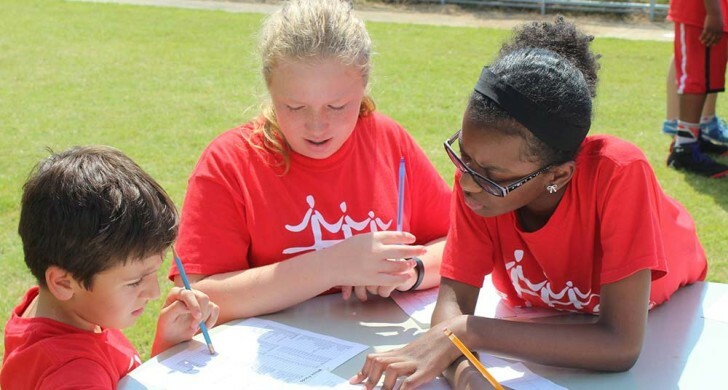 Students in 11th grade will spend the overnight week-long conference at the University of Memphis and 12th graders will stay at For the Kingdom Conference and Retreat Center. Develop a greater appreciation of your own leadership skills and the issues affecting our community with Bridge Builders training sessions. 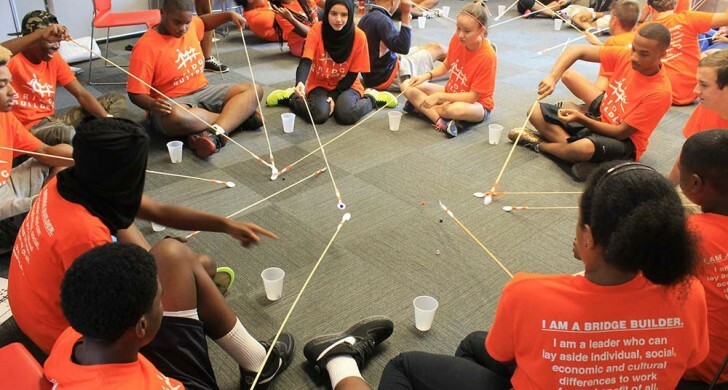 Through a three-hour series of activities and discussions, you and your peers will delve into topics such as diversity, communication, and teamwork. What begins as a staff-guided activity quickly becomes much more as you and your fellow Bridge Builders take the reins in discussions that dig into these topics like never before, thanks to BRIDGES’ unique approach to discussion. Our staff is trained to ask questions that steer the conversation towards the themes that are most important to you, making every participant feel acknowledged and valued. Even when you are discussing the most sensitive topics, you will be surprised at how open and welcoming the BRIDGES atmosphere is. Teacher Up Workshop– Learn about how teachers create lesson plans and share your perspective as a student to help make teaching more engaging. Fight Community Blight Workshop – Create Wildflower Gardens in abandoned lots to help fight community blight and save Monarch Butterflies from extinction. Youth and Police Workshop – Break down stereotypes by participating in interactive activities with the Community Outreach Program (C.O.P.) of the Memphis Police Department. Whatever your passion, you will be able to find a way to use it to make a positive impact in Memphis through community action. 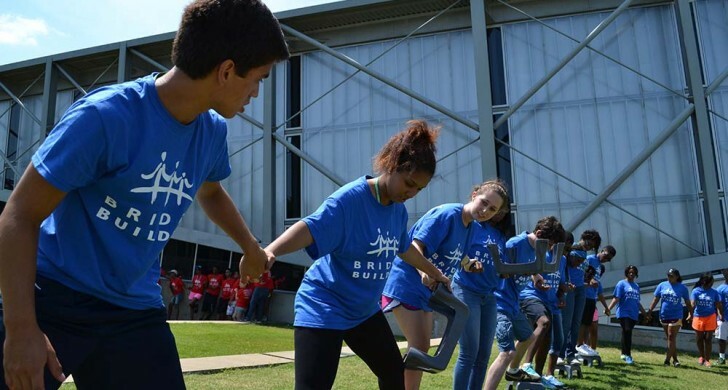 Delve into topics outside of the usual Bridge Builders curriculum with our elective events, which give you a chance to explore the wealth of culture and opportunity in Memphis. With an ever-changing roster of events and topics to choose from, you’ll be sure to find an elective that speaks to your passions. Social justice, local politics, and the arts are just a few of the themes regularly featured in our electives. Join Bridge Builders COLLABORATE for a chance to dig deeper and find all the opportunities and resources Memphis has in store for you!